Welcome Home. 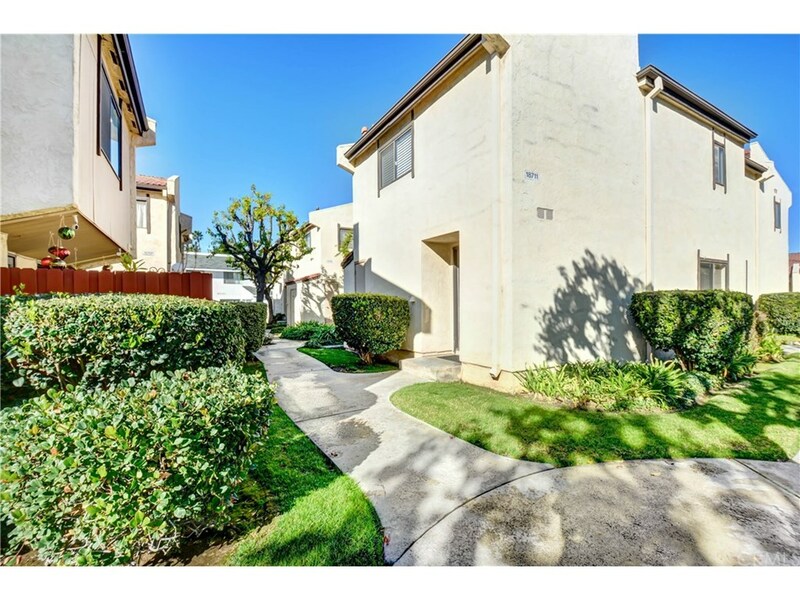 This ready to move in Condo is located in the private, gated Arrow Park Community. The entry area of this well maintained home has Spanish style title, as you step down to the living space you have great wood floors. Livingroom has a gas fireplace for those cozy nights. Dining area has a nice view of the greenery from the window, well letting in all the natural light . If you rather eat outside, step out to a peaceful patio area for morning coffee’s or your weekend barbeques. This unit has a half bath downstairs and your own private laundry area. You walk upstairs to 2 great size carpeted bedrooms. The full bath gives you a nice window for more natural light. You will also enjoy an air conditioning unit that is less then a year old. HOA amenities offered are a pool and spa with a clubhouse for those summer parties.